Ss. Constantine & Helen was founded in 1895 as a multiethnic parish of the Russian Diocese of the Aleutians. 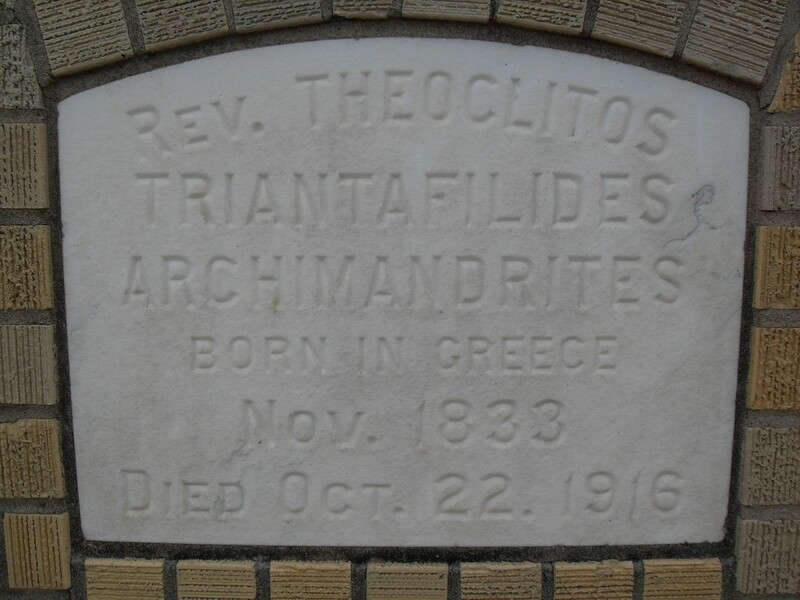 To this day, parishioners preserve the memory of their venerable first pastor, the remarkable Greek Archimandrite Theoclitos Triantafilides. He is buried in the altar, and this gravestone can be seen on the rear exterior of the church. 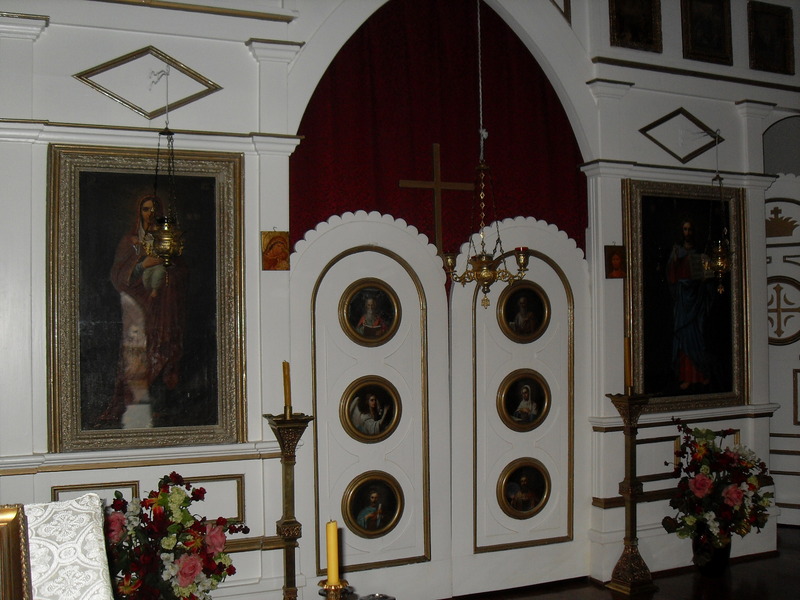 These Western-looking icons of Christ and the Theotokos were donated by Tsar Nicholas II. 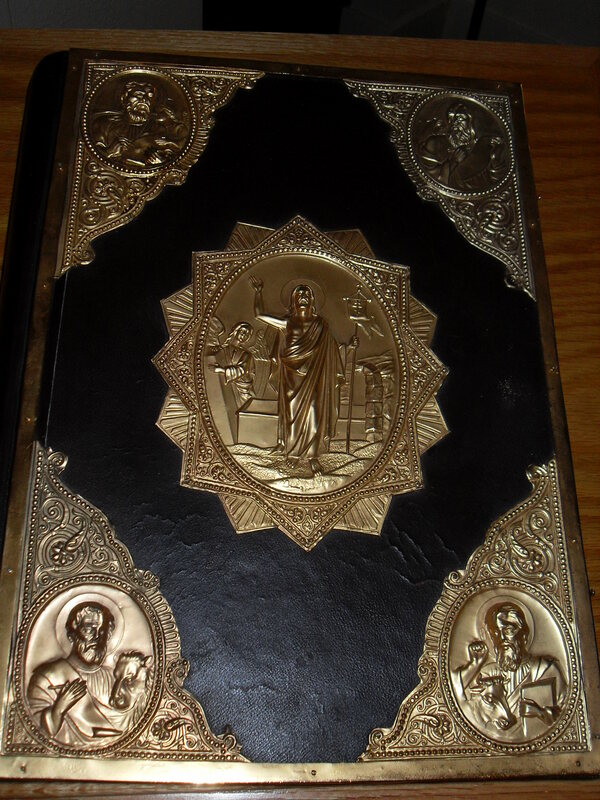 Tsar Nicholas II also donated this Gospel book to the Galveston parish. 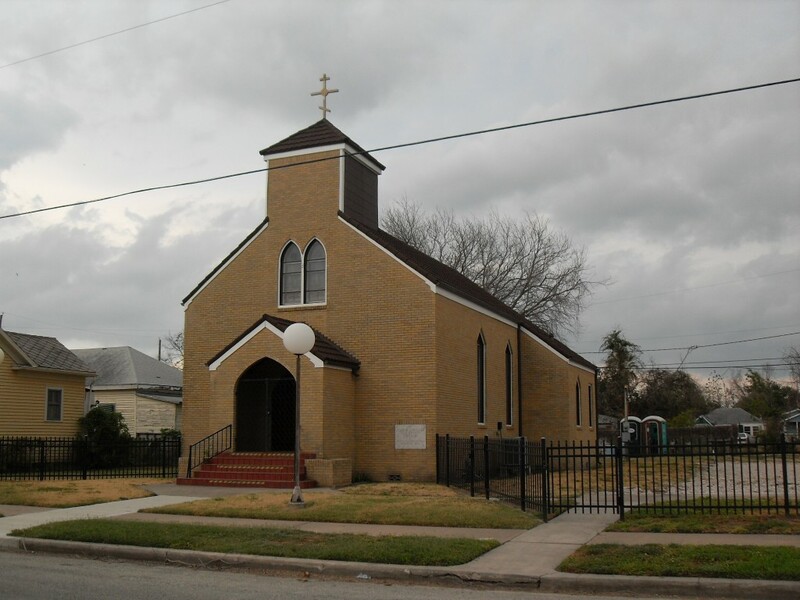 I was told that, during a flood, it was miraculously preserved and was found resting, unharmed, atop a nearby tombstone. I took a lot more photos, and I may post more in the future. 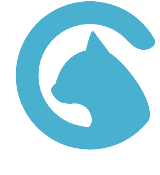 To learn more about the fascinating history of Ss. 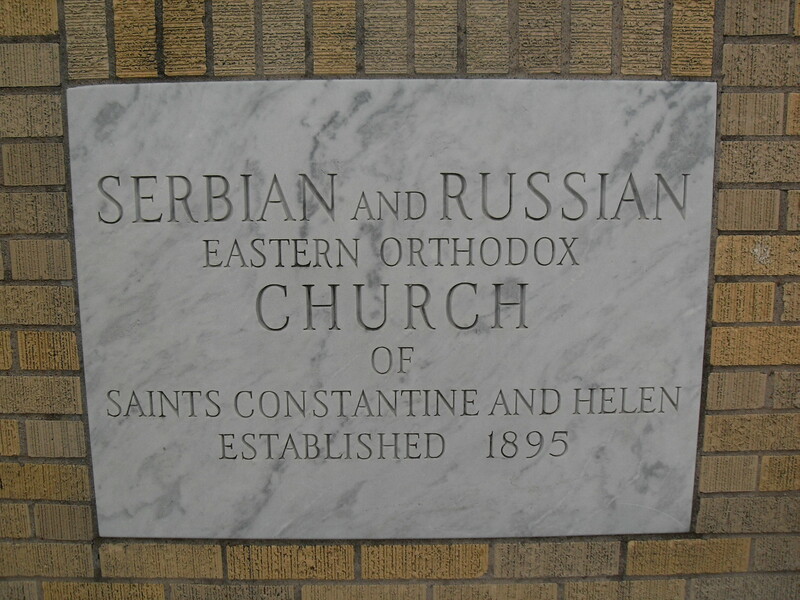 Constantine and Helen parish, and their legendary priest Fr. Theoclitos Triantafilides, check out this article, posted on OH.org last January.